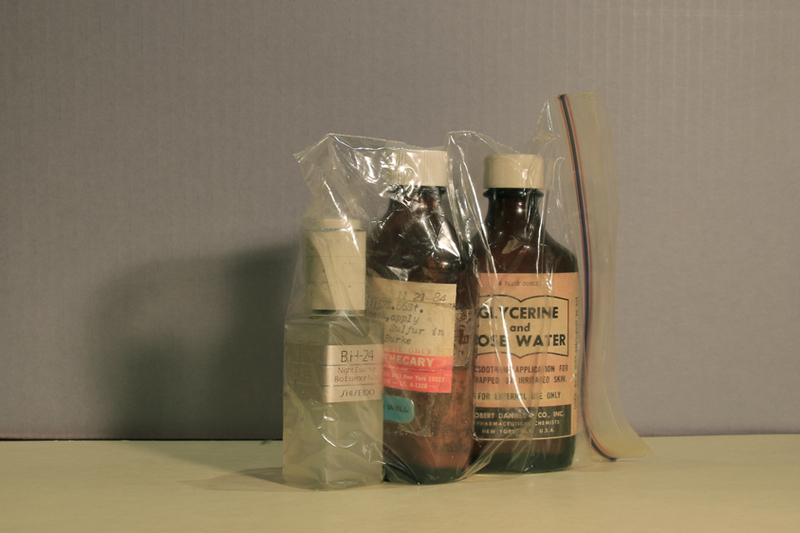 Toiletries stored in zip-lock bags for conservation by museum staff. Warhol kept all his toiletries and after his death they became part of the vast museum archive. Special thanks to Chief Archivist Matt Wrbican for providing access to the material.